Hey tradies, it’s time for you to take more responsibility for the security of your tools. We’re urging all workers to get a tighter grip of their property following reports of construction site burglaries in the Wellington region. Every theft of a tool should be reported to Police, so we can follow any lines of inquiry and put the criminals before the courts. 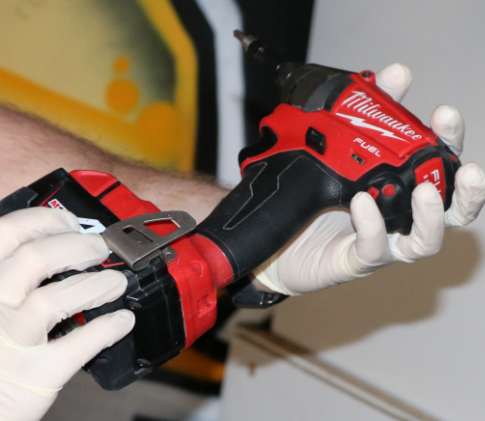 We’ll do all we can to recover your stolen tools, but crime prevention has to start with you. We know these items are a big expense, especially to people starting their career in the industry. Provisional data available to Police indicates an upward trends in the reporting of construction site burglaries in the Wellington District. Engrave your tools with your driver licence number. That way, if we find your tools, there’s a better chance of us getting them back to you. Keep a record of the serial numbers. If you work on a construction site, be vigilant and report any suspicious activity to Police. Take you tools home with you, or lock them up in a shed on site. For construction companies that own tools, we would support the engraving of company names and phone numbers onto the goods. Second hand dealers and the public should be wary of tools being offered to them at a price that’s too good to be true.